Pretty well all of Jim's pieces with the exception of the chargers are made using the concentric ring lamination technique. While somewhat difficult to explain, the animation at the right will give you the basic idea. 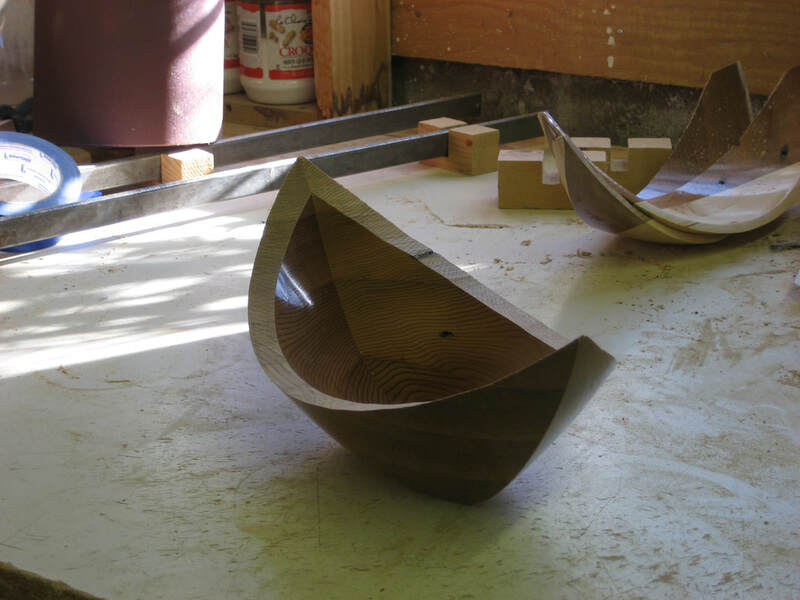 What follows are explanations and a series of videos showing the construction of Jim's bowls and vases. The videos on this page give instructions on how to make Stick Vases. 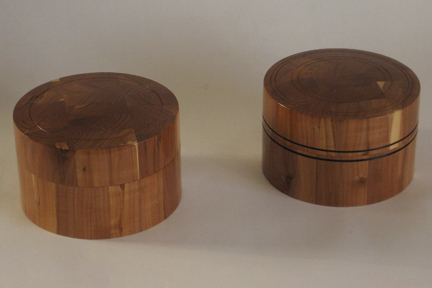 It is assumed that you have some skills, both in wood turning and woodworking. Detailed step by step videos on how to make a round smudge box. Examining the thought process and steps taken to make a stylized canoe. These videos show the methods that Jim uses to construct, turn and finish his pieces. Also, Jim is starting to use his blog to explain some of the many tips, tricks and techniques that he has learned over the years. This page and the videos on it will deal with the methods and details of constructing a concentric ring bowl. These videos are primarily for those who wish to study my methods and who wish to avoid some of the problems associated with making these kinds of turnings. Although these videos can be viewed for entertainment their main purpose is instructional.